Our Montana "S*&T" kickers are not just for work. We also use them at play, and goin' to town. The real boots are owned by the artist's husband, and Wendy saw a chance to capture the the essence of well worn affection, the kind that shows durability in the softness. Cowboy Love is real! 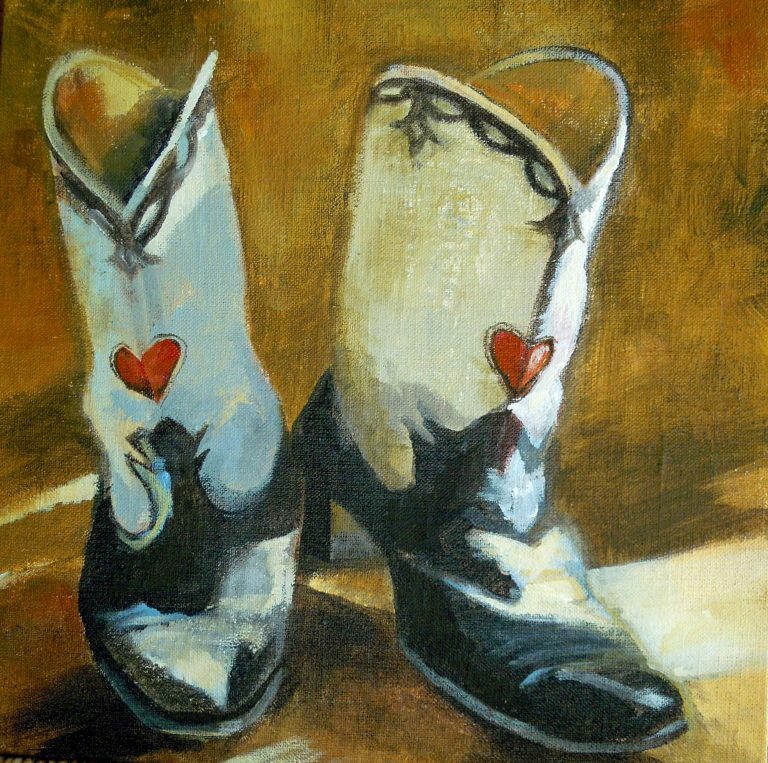 For yourself or as a gift, Cowboy Love, is available as a signed print on archival fine art paper, ready to mat and frame. Two sizes: 5 X 7, and 8 X 10. Free USPS Priority shipping.